It's easy to get wrapped up in the holiday spirit at Aldik Home, which is precisely why it has remained a Christmas icon in Southern California after more than 60 years. One visit is all it takes to see why people keep coming back year after year. As always, there are thousands of gorgeous ornaments, glittery stems and flashy LED lights. There are nutcrackers, angels, Santas, and a life-sized tree lot containing the most realistic artificial Christmas trees imaginable. It's impossible not to feel the magic of Christmas and want to take it home with you. 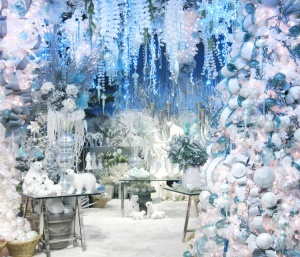 Fortunately, Aldik Home makes it easy to make your very own beautiful Christmas display with free classes given by their talented team of designers. You'll learn how to make ribbon flow down the side of your tree, how to incorporate LED lights to make a luminous effect and how to play with the scale, color and texture of your ornaments and Christmas stems to perfection. When it comes to Christmas, there's no place like Aldik Home. Add mobility, flexibility, prep space and style with this multi-colored workhorse. 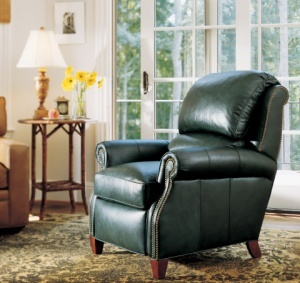 Solid wood and a six-step hand-rubbed surface gives an antique look and added protection that's smartly finished with a clear lacquer coating. The nitrocellulose base won't bleed or fade, either. 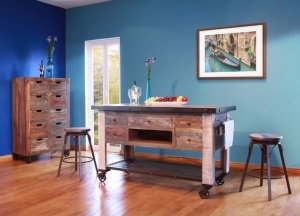 Rustic artisan style shows off the blacksmith's craftsmanship on this piece, which boasts a hand-forged iron base. The holidays are the time to call the professionals at Rebecca Rollins Interiors (RRI) to rescue you and your home from the doldrums before all your guests arrive! Shown here is a dining room that RRI designed and installed in only three days. 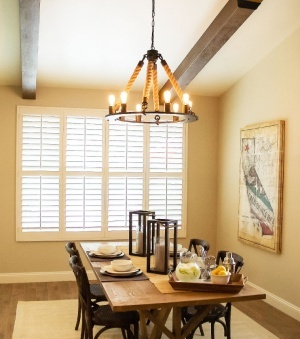 The affordable, elegant wood beams are the highlight of the room. RRI professionals carefully craft each beam so that they are not only styled perfectly for your space but are also proportionally sized and complementary to the design of the rest of the room. The beams are manufactured in Santa Clarita, not Mexico like many others, so they are able to get them installed very quickly. To finish off this room a fresh coat of Accessible Beige paint from Sherwin Williams was applied, larger base boards were installed and a beautiful rustic chandelier was wired. All of these items can be completed in a day by RRI. 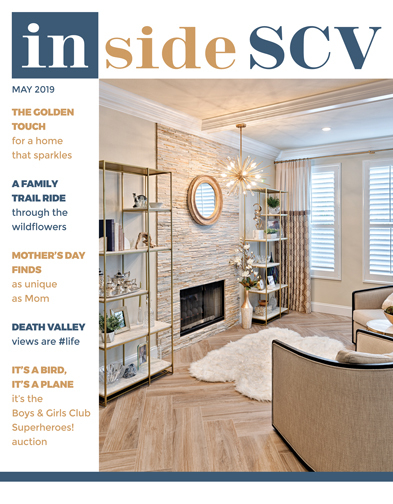 This is the best time of year to spruce up your home and RRI can ensure you get it done in a timely manner and on budget. In as few as three days your home can go from dull to impressive and "perfectly yours." 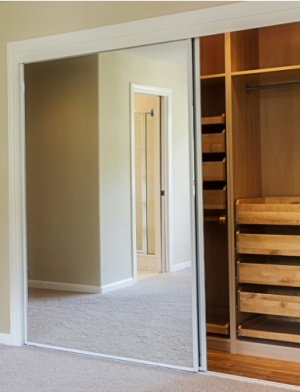 Mirrored closet doors add value to your home, and convenience, too. Visually expand your space while getting a full-length glimpse of your gorgeousness!